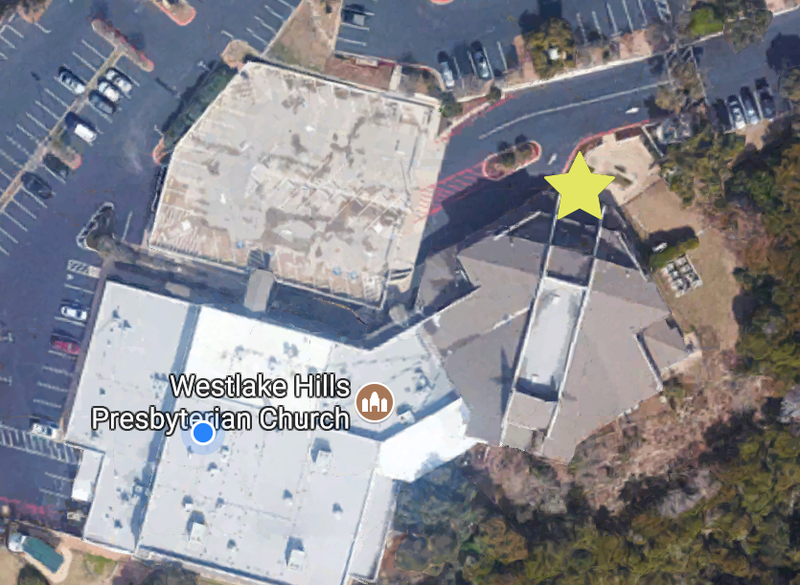 Welcome, we are excited to have new guests at Westlake Hills Presbyterian Church, and we hope you find your church home with us. We understand how intimidating stepping into a new church family can be, but be assured that you'll find warm smiles, generous hearts and the spirit of worship at WHPC. We're here to help with any questions you have about our worship service, parking and children's programs. We have worship service every Sunday at 8:15 a.m. in the Chapel, and 10:30 a.m. in the Sanctuary. Our 8:15 a.m. service in the Chapel is intimate with an average attendance of 50. Visitors looking for a small-church feel are encouraged to attend this close-knit service. Please note that both services have the same liturgy and sermon. Our 10:30 a.m. service is held in the Sanctuary- WHPC's main place of worship. This service is made up of contemporary and traditional songs, as well as a "Faith Sharing With Children" section. Children are always welcome in worship, and we welcome their fidgets and voices. If needed, there are children's activity kits at the Sanctuary entrances. We're located on the corner of Bee Cave Road and Barton Creek Boulevard. We have two parking lots on our property. Our main parking lot is located at our main entrance and includes special needs parking in the upper deck of the parking garage. The second lot is located further down the hill on Barton Creek Blvd. Shuttles are provided. The main entrance is located a little down the hill from the entrance at Bee Cave Road. This is the entrance into the Narthex and leads directly to the Sanctuary. We want you to be comfortable in worship, but we understand not wanting to be underdressed. Most members wear dresses, slacks, khakis, golf tees, or button downs. Orange: Main Entrance, then walk downstairs to children's. When you arrive on Sunday morning, please check in at the kiosks in the children's entrance downstairs. The check-in system will generate a name tag for your child(ren) and a security tag for you to keep and show their teacher when you pick them up. We also have beepers available for your peace of mind. We have a dedicated education hour for all ages at 9:15 a.m. You can find the scheduled adult classes on the Adult Education page on our website. Childcare is available from 9:00 to 11:45 a.m. for children up to Pre-K.
Children meet downstairs and will be checked in and directed to their age specific Sunday School class upon arrival. Students in High School and Middle School meet in the Youth Room.